CFTech Ultimate Frisbee Gloves give you Flexible control of the disc for throwing and catching. Balanced all-weather control for handling and catching: rain, shine, snow, sleet, the \'Ultimate Grip\' for any weather condition! 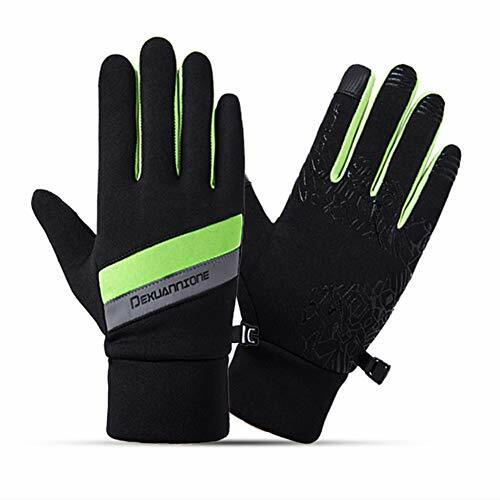 Breathable Ice Silk Gloves keeps your hands cool; Palm use of non-slip silicone material for durability against turf, grass, mud & more, extremely durable grip that will not rip! More grip = more rotation on release which can improve accuracy, speed and distance of your throw, perfect for Ultimate or any disc sport. Additional Features: Fingertip touch screen technology - You can easily use your phone when you wear the gloves without take it off.